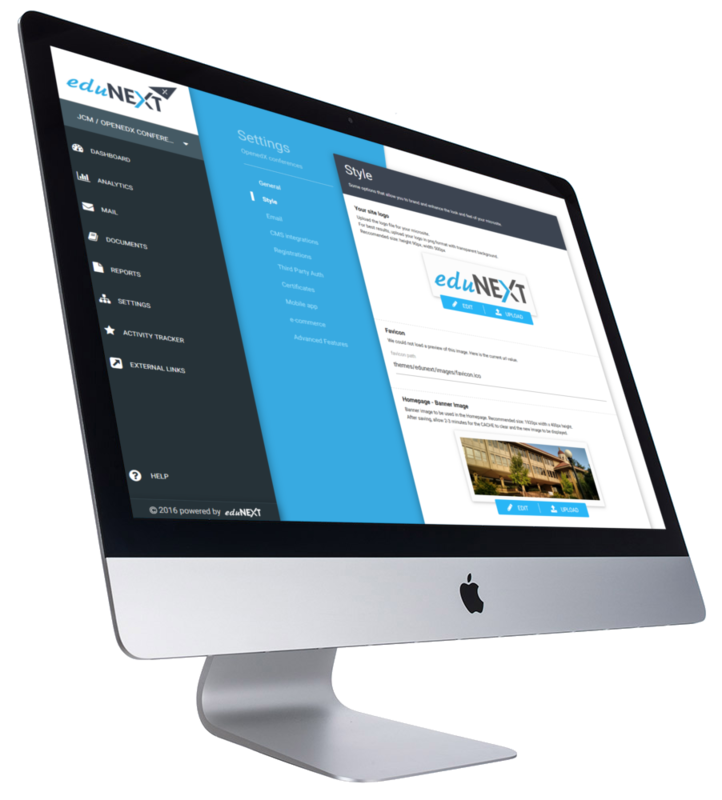 class Categories: Cloud Subscriptions , EMC eduNEXT Management Console , Exclusive Cloud Features , Manage your site . One of our purposes is to empower you to be able to run your open edX microsite with a great deal of flexibility and control. One of the most useful features in the manage application is to allow for easy self service customization of many of your open edX configuration variables. Everything from your site name, language, look and feel, email configuration, google analytics and more. Change the name for your site, language and timezone. Add or change your logo. Add a homepage banner, and favicon. Add or change the HTML overlay. Style up your course catalogue. Configure your outbound email account. Sign up for one of our SaaS subscriptions to get started with your hosted Open edX microsite today and enjoy extra simplicity for your open edX configuration and more exclusive features” by eduNEXT. Ready to take your online learning to the next step? Get started with eduNEXT’s Open edX as a service subscriptions. You can always start small and adapt your platform in several ways as you grow. Get our team of open edX experts to work on your online learning infrastructure, custom developments, custom theming, mobile apps, or training for your staff.